GLASGOW, SCOTLAND – On Sunday the 10th of September 2017, the Scottish International Piano Competition went into the final round. Competitors could choose between Fazioli, Steinway, and Bosendorfer, and we are please to share with you that all 3 finalists chose to perform onthe Fazioli. 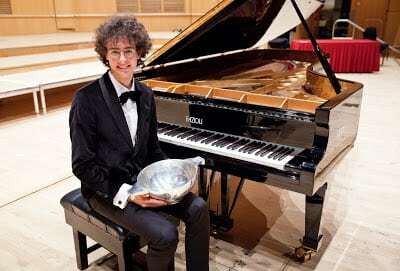 Turkish pianist Can Çakmur has been named the 11th winner of the Scottish International Piano Competition (SIPC). The 20-year-old receives £10,000, the Sir Alexander Stone Memorial Trophy and the Frederic Lamond Gold Medal, and will perform with the Royal Scottish National Orchestra in their 2018/19 season. Born in 1997 in Ankara, Can Çakmur has studied at the Hochschule für Music Franz Liszt Weimar, and with Diane Andersen in Belgium. He had won a number of international competitions and awards, appeared in major festivals throughout his native Turkey, and performed as soloist throughout Europe. Held as a triennial event, the Scottish International Piano Competition this year welcomed 23 competitors from 15 countries across 3 continents. 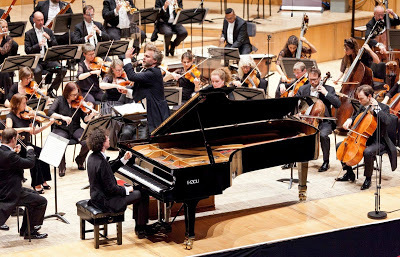 The panel of 8 jurors included internationally acclaimed pianists Steven Osborne and Olga Kern and was chaired by Head of Keyboard at the Royal Conservatoire of Scotland, Aaron Shorr. Second Prize of £7,500 and the Lawrence Glover Silver Medal went to Florian Mitrea, 27, from Romania. Florian also won best performance of Gordon McPherson’s The Pounding Room, a new work commissioned as the test piece for this year’s competition. Georgian born Luka Okros, 20, now based in the UK, took home the Third prize of £5000 and The Douglas McKerrell Memorial Prize. Finalists prizes were supported by SIPC Patrons and Friends, Merchants House of Glasgow, the McKerrell family and Arnold Clark. What is now The Scottish International Piano Competition was originally established in 1986 as a memorial to Frederic Lamond and the First Prize of the Competition carries with it the Frederic Lamond Gold Medal.